TDI/SDI - The Scuba Diving Innovators! 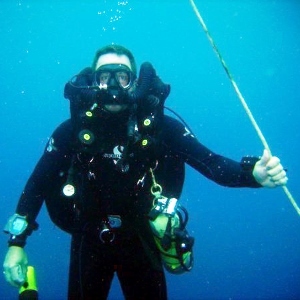 SDI was the first dive training agency to introduce online learning, the first to teach using dive computers, and the first to introduce rebreather training. 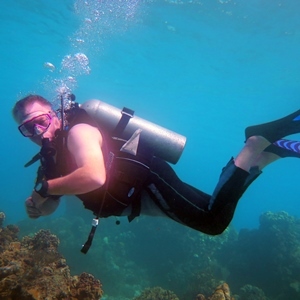 TDI/SDI is run by divers, for divers! Why would you settle for second best? 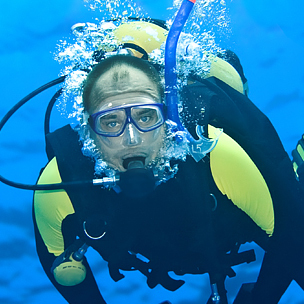 At Calgary Scuba, we are interested in your safety, comfort, and peace of mind. Your training is conducted by our Professional Instructors in a full size pool, where you learn the basic skills before they accompany you to the lake or ocean to safely practice the skills you have mastered. You can actually start today! 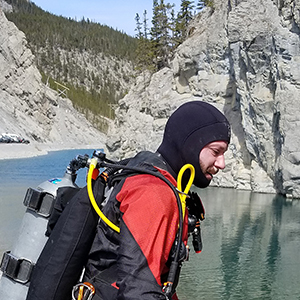 Visit us on the TransCanada at 602B 16 Ave NW in Calgary for Scuba Diving Certification, Advanced Diver Training, or Snorkeling and WaterSports needs. 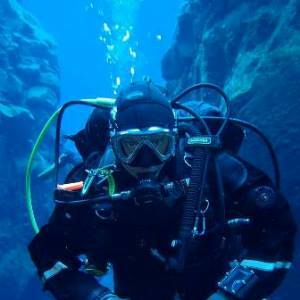 The Staff of Calgary Scuba are some of the most highly educated in the industry. Our Instructors have been qualified by a minimum of two International Dive Training Agencies to teach you about Scuba Diving. The World Recreational Scuba Training Council (WRSTC) was founded in 1999, and is dedicated to creating minimum recreational dive training standards for scuba diving certification agencies around the world. Our Staff are committed to uphold these Standards. The very first question we ask our Staff is why do you want to teach Scuba Diving. The common answer is we truly enjoy our sport, and love the look on a students' face when they take their first breath underwater. We are here to ensure you have an amazing experience. John attributes his love for diving to a book received as a gift by his Father in the early 70's, The Silent World, by Jacques Cousteau. Since his first dive in 1980, the love affair has grown. 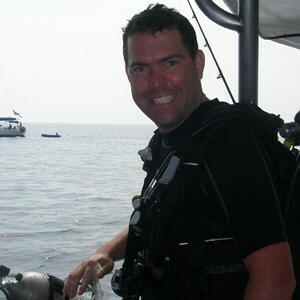 John is our SDI Course Director, as well as a TDI and PADI Instructor. Come see us for all your Scuba needs. Daryl has been diving for 20 years and has been a PADI instructor for two years, and completed his SDI crossover in 2016. Daryl enjoys seeing new divers complete their certification and now able to enjoy the incredible world of diving. Absolutely most favourite place to dive…..in water. "If anyone in my Open Water Class had told me that I would become a scuba instructor ... I would have laughed, and then cried. Like many new divers, I am pretty sure I actually did." 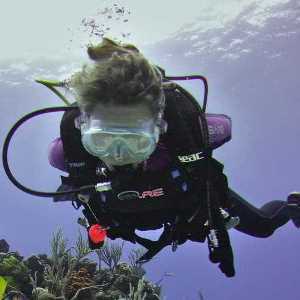 As a PADI, SDI and TDI Instructor, Gertie is delighted that teaching scuba is her 'fun' job. There are so many more places to see....Mozambique? Brazil? Who is in? 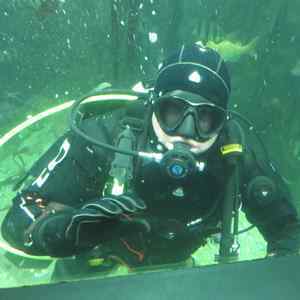 After a 26 year absence, Scott got back into diving in 2008 with renewed passion, became a PADI MSDT in 2015 then completed a crossover to SDI in 2016. Scott has dove the prairie provinces, as well as on Canada's West Coast, Australia, Bali, the Bahamas, Bonaire, Coco's Island, Hawaii, Honduras and the Maldives. Marianne came to us last year by way of the C CMAS (the training agency) that is. 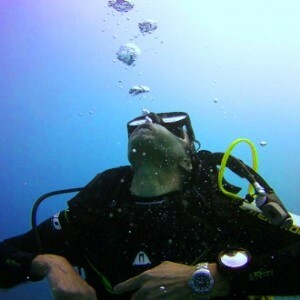 "When I dive, I reach a state of serenity. I am mesmerized by the beauty and tranquillity of the life below the surface. I enjoy diving even more when my dive buddies feel the same way." 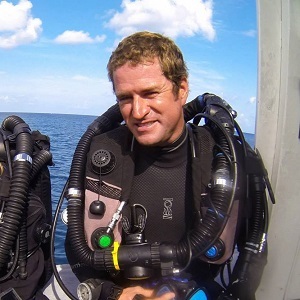 Originally from the mountaineering rescue world, Gilles started diving 35 years ago, then 7 years later, the ocean experience let Gilles discover the "Monde du Silence" that he truly understood what Jacques Cousteau meant. Today, Gilles's passion is training divers with CMAS and SDI to be comfortable in the amazing underwater world. The Andaman Islands (west of India), Maldives, Thailand, Mexico, Bahamas, Russia, Honduras, Belize, USA, Norway, Venezuela and a few islands in the Caribbean. 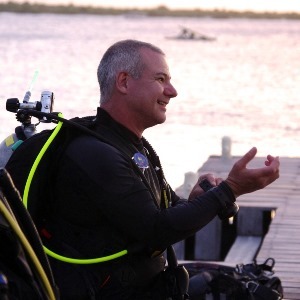 Mike’s Passion for diving is attributed to his first dive with his father in the 1970’s. 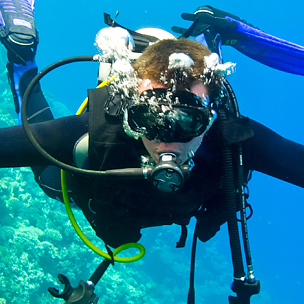 With 20+ years of instructional experience with PADI, SDI and TDI. 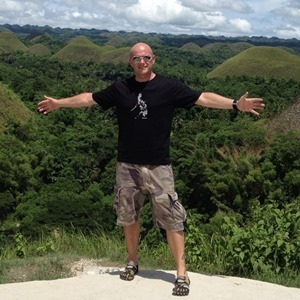 Mike has taught locally, worked on Cruise Ships in the Caribbean and has also lived and taught in the Philippines. 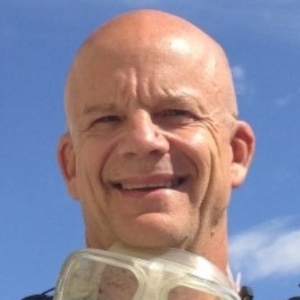 Come join “the man behind the mask” for your next diving Experience! Brad started diving in 2009. He became a PADI Divemaster in 2014 and then completed the crossover to become an SDI Divemaster in 2016. Brad has dove in Alberta, multiple Hawaiian islands, Jamaica, Honduras, Cuba, and South Africa. One of his favourite dive sites was the Bay of Pigs in Cuba. Michael started diving in 2002, and completed his Divemaster Course with us in 2016. Along with many dives in Alberta, Mike has dove the Caribbean, with the Silk Keys in Belize being his favorite. All of Michael’s family are certified divers, and he has a portrait underwater in Mexico to prove it. We are looking for strong, independant dive professionals. If you would like to join our dynamic team, please feel free to drop us a line, or stop by the store for a visit. I stopped in here last week and I must say some of the best customer service ever. I was just looking for some basic snorkel gear and the lady that helped me was extremely informative and I never once felt any pressure to buy anything. Highly recommended! John created a rescue diver class just for me, and worked it into a very busy and tight schedule. This all came about because John took the time to ask a few extra questions when I came into his shop about my needs, next thing you know I am getting my course completed. Shirley and John set me up with with all the required diving equipment which was high quality and well maintained. Very positive experience with this store. I checked out this dive shop when preparing for a trip to the red sea. I worked with John. It was an excellent experience. He was able to service our regs and explain gear options. We needed some things at the last min and he worked hard to get us what we needed. I will go back to this shop again without hesitation.